Manon Elder was born in Ottawa and raised across Canada and France. She graduated with a Bachelor of Fine Arts from the University of Victoria in 1976, with additional studies in French language and literature at the University of Ottawa and Memorial University of Newfoundland. In 1989, Elder embarked on her first project Portraits of Artists and its success enabled further forays: Artists of the Isles, Honour the Women, The Tea Party, High Tea, the genre of Motorcycle Art and most recently The Other Emily. Most projects have entailed a 4-year focus, averaging 20 canvases each, many of which are of a large format. Elder has exhibited extensively as a solo artist. 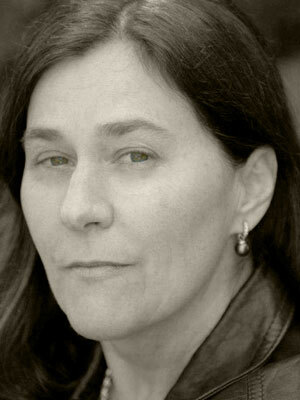 She began working on portraits of Emily Carr in 2001 and collaborating with the Royal BC Museum in 2009. Filmmaker and artist Kristina Campbell is currently producing a documentary film on Manon Elder and her art-making process to be screened as part of the Royal BC Museum’s exhibition, The Other Emily. Many Universities and Public Institutions have acquired her work including the National Portrait Gallery which owns the portrait of Mary Pratt from High Tea. Elder’s corporate, family and individual portrait commissions continue to place her in contemporary collections.